Helping others is a basic human desire. In fact, there’s even an argument to suggest that there is no such thing as “altruism” because we get so much pleasure from helping others that we’re ultimately helping ourselves. Whatever psychological theory you subscribe to, it’s undeniable that many of us are compelled to help, support, and sacrifice ourselves for our fellow humans and animals. Don’t worry, I’m not going to ask you to sacrifice yourself, but I am going to tell you why you should sacrifice a little of your time by volunteering to help and support others, and how doing by so you'll actually help yourself too - volunteering really is a win win. I regularly volunteer my time in schools and youth groups, helping students gain employability skills, the feedback from students is amazing and I quickly discovered is that it’s incredibly rewarding (and often eye opening!). I am also passionate about bringing more young people into our industry; I enjoy talking to them about all the amazing career opportunities in the (re)insurance market, and volunteering provides the perfect opportunity to do so. I recently invited (coerced?!) Declan O’Brien (Brand Formula) and Lucy McGinn (Insurer Relationship coordinator, JLT Portfolio Management) to join me at Highbury Grove School for a “professional conversations” session. We talked to the students there about our career paths, heard about their aspirations and answered their questions about the world of work. So that’s us, but why should you volunteer? We all know (or should know!) how important our professional network is in terms of career success and if you are in the (re)insurance market then make sure you have a copy of the Essential﻿﻿ Networking Checklist for 44 easy ways to meet likeminded people to quickly and easily build your powerful network. Did you also know that having an open network (i.e. one that also includes people from outside your industry) is also one of the best predictors of career success? 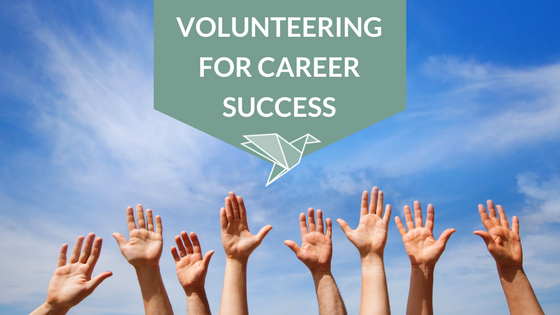 Volunteering in an sector other than your own will give your career a boost; it will help to build these relationships, expose you to different perspectives, possible mentors or sponsors, and new opportunities (not to mention potential clients!). who volunteered to learn new skills benefited either by getting their first job, improving their salary, or being promoted. Whether it’s public speaking, communication, mediation, or coaching; volunteering offers you the perfect chance to hone these critical career skills in a safe, non-work environment. So if you’re nervous about presenting in front of your colleagues, you could volunteer to speak out for those in need first. 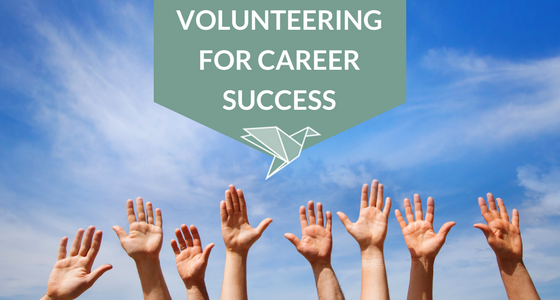 Employers find volunteering work on a CV a valuable differentiator. Whether the volunteering was performed during a job or in between jobs (for instance whilst on gardening leave) it demonstrates that you have a proactive approach towards bettering yourself and helping others. And what employer wouldn’t want to hire (or promote) someone like that? Insurance affects everything. It helps drive economic progress, aids disaster recovery and supports businesses, communities and individuals. But sometimes, sitting at our desks pouring over spreadsheets or policy wordings we can feel removed from the positive impact we’re having. Volunteering, whether it’s helping young people improve their employability through giving a workshop, fund raising for a rescue centre that cares for abandoned animals or visiting the elderly to simply talk to them, gives instant gratification. You will always leave a volunteering opportunity buzzing; feeling amazing for having had such a positive impact and usually humbled that so little of your time and effort has such a huge impact on others. Like Lucy, you leave wanting to do it all over again. So, you know the value of volunteering to others, to yourself and to your career - what’s stopping you? READY TO BOOST YOUR CAREER AND HELP OTHERS? 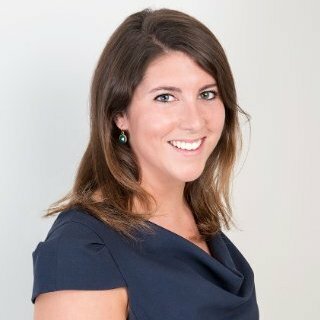 I’m looking for (re)insurance professionals to offer an hour or two to speak to students across London, UK. If you’d like to help young people improve their employability and learn more about career opportunities in (re)insurance (plus boost your skills, personal brand, network, and career at the same time!) then just click below to register your interest and I'll contact you when the next great opportunity comes up. As one who practices what Katherine so eloquently mentions in this article, I can attest first hand, how true her comments are. She identifies all the top reasons to spend time and volunteer with the younger generation of incoming professionals. Allow me though to add a personal reason. It’s a means to say “Thank You”. If anyone has ever benefitted from a mentor over the course of their career, or perhaps even as a student, there is nothing more gratifying then communicating appreciation to those mentors in this manner. Even though, I am looking forward to my lesson on psychological theory, there is a practical element beyond all these fine points. Gratitude! Thank you so much for your comments Meyer. I know that you are very generous with your time and helping the next generation as they navigate our industry is the perfect way to say “thank you” for support you received. This article is well said. I know for a fact the life changing effect going out and finding someone to help or volunteering to something you feel strongly about, education, conservation,etc. In 2003 when I was told by the doctors that I wasn’t going to survive and to get my paperwork in order. I gave my children what I thought was my last life lesson- it was a directive to go out and find someone to help. They all did and my 5 child went to Fiji, found a high school that needed everything and more. We our family and her trip has evolved into the Educational Foundation for the Children of Fiji 501c3 http://www.FijiFoundation.org building a school campus in Fiji and supporting education projects here and abroad. Great Job love the article. What we all do for others changes not only their lives it changes our own and makes us grow.